This application helps you to monitor how busy the system currently is. The statistics are updated every 8 seconds and show the history of the last 90 seconds. We recommend to use this application only when you are actively monitoring and troubleshooting the system. If you don't need it, stop the monitoring process or close the system monitor to free up the resources taken up by this application. 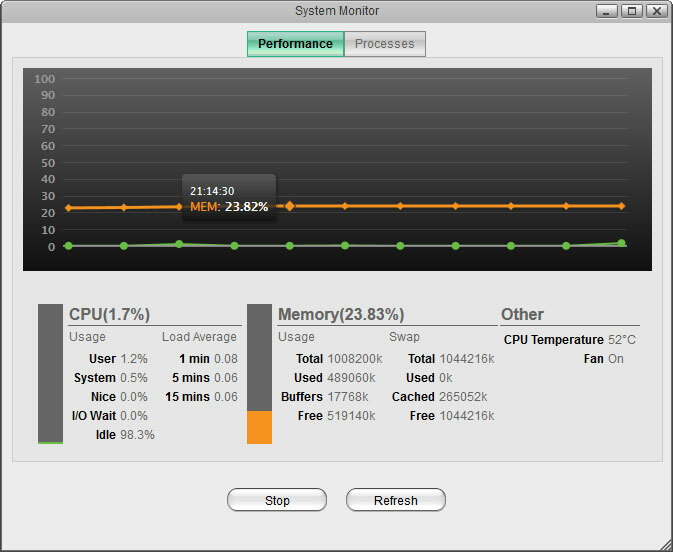 CPU Shows the usage and load of the processor. Memory Shows the usage of the system and SWAP memory. Other Shows other information related to the system (e.g. CPU temperature, fan status, etc.). Stop Click Stop to temporarily stop the automatic refreshing. Refresh Click Refresh to clear the screen and update the data manually. 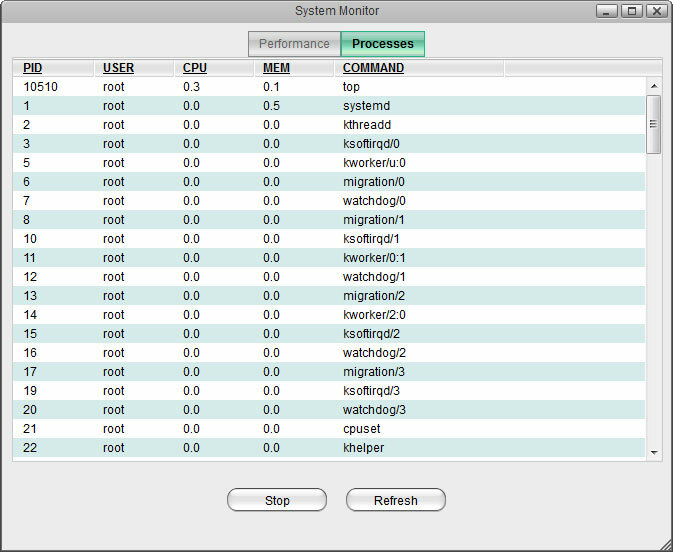 This tab shows the active processes with their CPU and memory usage.